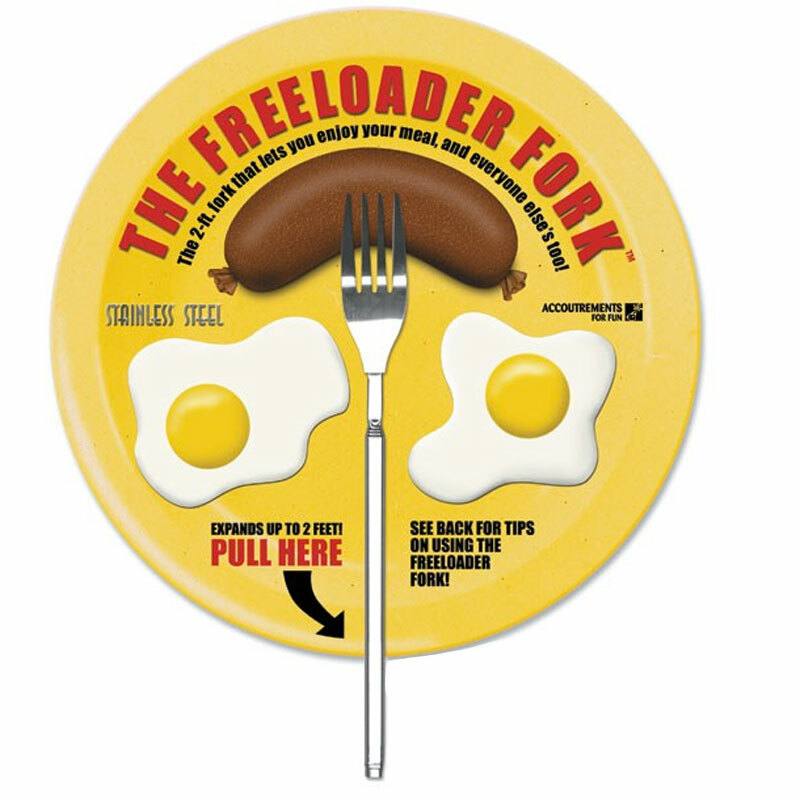 This awesomely Extendable Freeloader Fork will look just like a normal Fork until you Extend it up to 21". 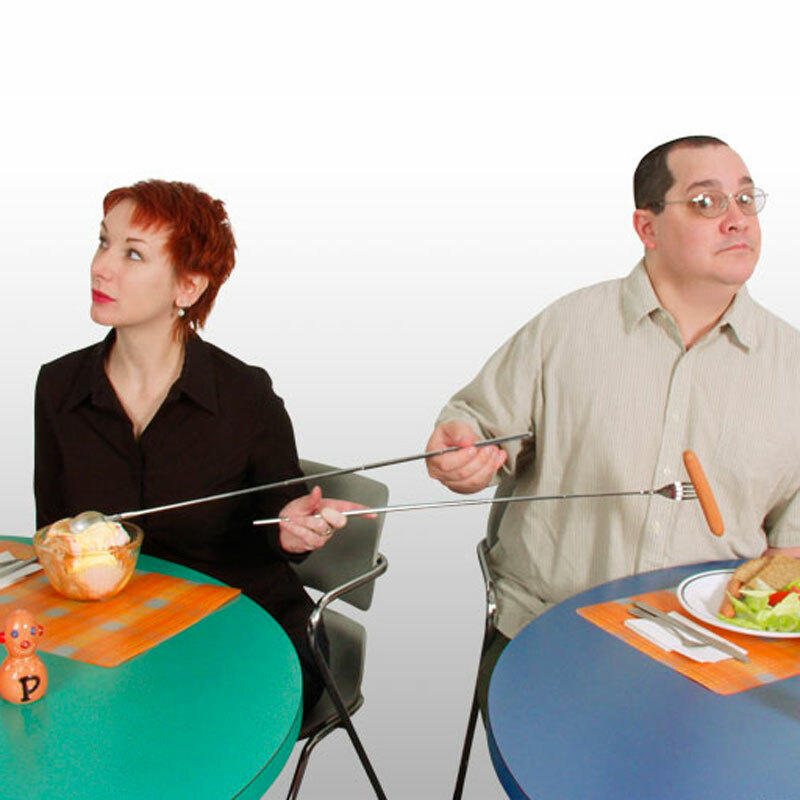 You can grab food off your neighbor's plate or from another table with ease and discretion. It also serves as an excellent back scratcher or pointer tool. Start stretching your utensils to be all they can be. And remember it's not stealing, it's just taste-testing for the safety and benefit of others. 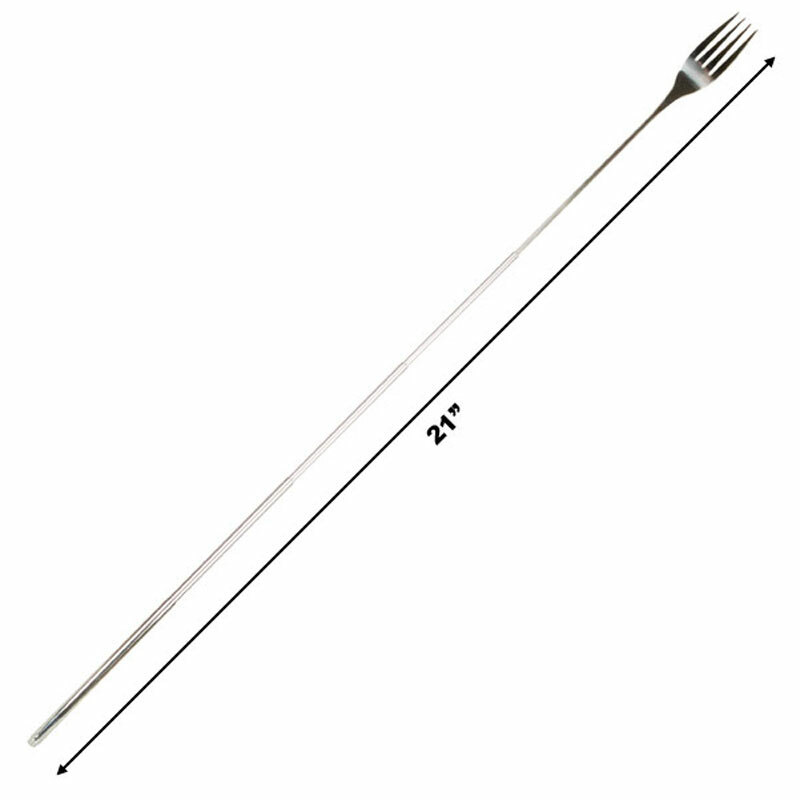 Feature: - This Fork is an actual metal Fork but it discretely stretches up to 21" long for easy meal tasting across the table.